These nasty content marketing mistakes are putting your business on hold! It’s common to make mistakes in business. Many businesses make mistakes, learn from them and and then take corrective measures to lead their strategies and campaigns in the right direction. Let’s talk about content marketing, in particular. If you use content marketing, you are most probably aware that it’s an area where mistakes can frequently happen. But these mistakes take time before they are identified. The reason behind this is that many content marketing mistakes don’t directly result in a loss of revenue or business. However, these mistakes harm your business gradually. They’ll hurt your site’s rankings, alienate customers and destroy your brand image over time. Here’s a list of five content marketing mistakes, which if not corrected in time, will jeopardize your business in many ways. Now is a good time to analyze, understand and adjust. Having a consistent tone and style is of utmost importance in content marketing. If you aren’t paying attention while writing blog posts, articles or video scripts, you’re treading on dangerous grounds. When you plan to build a brand which stands out and sticks into the memory of your target audience, you should develop your own style of writing. This requires a thorough understanding of the audience you cater to. You should always write in the natural language of the target audience. Industry jargon and complex terms should be avoided. Most importantly, you need to decide from day one whether you should write in a formal or casual tone. As the level of competition continues to rise, the value of content tone and style becomes more significant than ever. If you are not leveraging video, you are making a potential mistake. According to a study, internet video traffic will account for more than 80% of all consumer internet traffic in 4 years. Video is getting huge, as it is changing the ways brands and consumers communicate with one another. By their very nature, videos have their own way of attracting and engaging audiences. In fact, a well-crafted 2-minute video can generate 1000s of visitors in minutes. Live internet videos and square videos are growing in popularity on a massive scale. Videos are powerful at driving buying behavior. Your business just can’t live without videos. So, make sure you include video marketing into your overall content marketing plan for greater engagement and conversions. While you may think that your content is awesome enough to take off on its own, actually it won’t. A few years ago, it was easy to create content, optimize (or stuff) it with lots of keywords and see it lift off quickly. Those days are over, and there’s stiff competition for attracting eyeballs. Unless you are ready to spend at least a few dollars on every great piece of content that you create, you’ll struggle to reach out to your target audience the way you should. If you want to compete and expand, you should definitely consider paid advertising for content promotion. The best part about online advertising is that it is highly targeted (based on past user behavior) and measurable. This means, you can always ensure that every advertising dollar is well-spent. Email marketing has the potential to make your content marketing truly pay off. Ignore it at your own risk. Being a private form of communication, email marketing generates a greater ROI than any other inbound marketing technique. 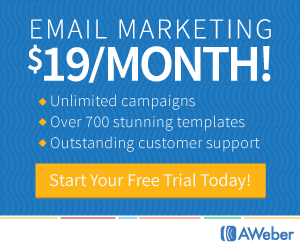 According to a research, for every $1 spent on email marketing, the ROI is a whopping $38. You can use emails to communicate, educate and inform your customers and prospects on a personal level. If you aren’t using email marketing yet, you should start using them now. Most importantly, you should ensure that the email marketing strategy you work out is in sync with your content strategy. When using emails for marketing, personalization is where your focus should be. To get the most out of your email marketing efforts, you should switch from 1: many messaging to 1:1 experiences, which translates into making the recipient feel you are directly talking to him or her. Using personalized content in your emails will quickly boost the open and click-through rates. Segment your subscribers in different groups and craft separate personalized email messages for each group to maximize impact and conversions. Someone told you that shorter is sexier, and since then you have been ignoring long-form content. If that sounds like you, believe me you have missed out on lots of traffic, leads and revenue till now. A lot of businesses think that shorter content pieces are better because people have shorter attention spans. Therefore, the only kind of content that works must convey its message in 1-2 seconds or less. That’s utter nonsense. There are case studies that take several minutes to read and people still spend that time. In fact, they are unable to stop because those case studies are so well-written and beautifully designed. And the result of it all is engaged customers and more conversions and leads. Research shows that long-form content boosts SEO and conversions, a lot better than most short-form content would do. When you want to build a steady stream of organic search traffic, encourage sign-ups, maximize conversions and build long-term relationships, longer content pieces are the way to go. Long-form content takes time to create but the result is worth it. Understand the essence of content marketing. And evaluate your own content strategies and campaigns in terms of value delivered to the target audience. Remember that both the popularity and the significance of content marketing will only increase, year after year. If you want to see results from your efforts, make sure you avoid the content marketing mistakes mentioned in this article and are consistent with your efforts. Before you leave… I strongly recommend you to grab my content creation course, to help you create killer content for your business! Now, leave a comment and let me know which of these (or another) content marketing mistake is hurting your business right now! You are absolutely right Jane. Content marketing is one of the key things in the world of digital marketing. One has to put good effort to create a stunning content which converts. Not only search engines, but people also love to read long & in-depth content where one can get almost every single detail related to one topic. Many thanks for sharing this awesome tips. Well said Santanu. Long form content makes it a one stop shop! Thanks for stopping by and leaving a comment 🙂 Have a great day! Yes, of course, long-form content performs better. Even if I had not published many, among all my articles, 2000+ words pieces had the most views and comments. Seth Godin’s blog is an exception to this rule. He shares short ones because his greatness attracts viewers. We should publish 2000+ word articles until we became a person like Seth or a company like Apple. It is very true that long form content drives more attention and it tends to keep our visitors long on site – even if they are skimming. They say content is king and for good reason. But if you are not utilizing the best avenues for both content creation and distribution, then you will be leaving too much money on the table. Establishing your own voice is great in that it will help you create a solid brand identity which your buyer persona will love. Thus, converting them to loyal customers. Video is said be account for about 80℅ if all seach traffic in by 2020, which makes video making a must for your content strategy, etc. In tact, I appreciate your efforts in putting this article together. Content promotion is as equally as important as content creation. And one without the other is a failure formula! For sure, video is picking up pace. The internet is getting visual by the minute and only with videos, content marketers can catch up! Jane: I determined my own voice (as a rational egoist) and style when I started blogging in 2002. I would call myself a witty (with some kind of dry humor sprinkled throughout the posts now and then) pundit. I have a relaxed, laid-back (laissez-faire) writing style. I want to get across my thoughts in a short and sweet way, according to the motto; less is more. I invite my readers to add their $0.02 to the conversation, as the “buyer” (read: reader) persona is a thinking individualist.